We haven't seen each other in three months but in just one month that will be over! I have created a new page and series called She & Him where you can find our photo shoots and features! 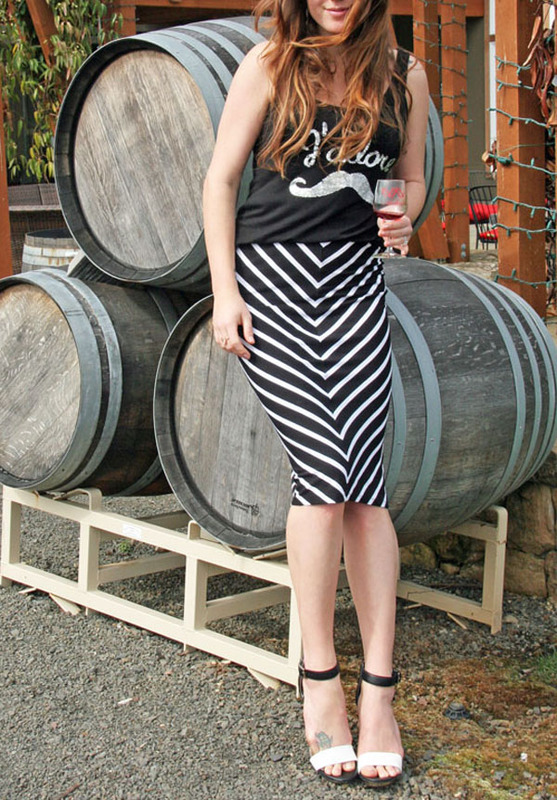 What to wear wine tasting: Cute and comfy skirts and dresses!!! 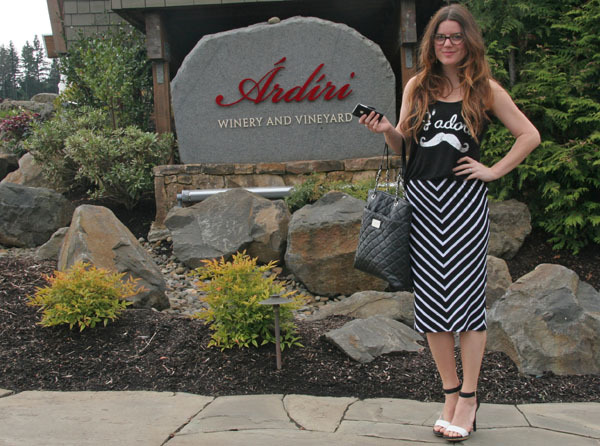 I wore my new current favorite and incredibly comfy chevron pencil skirt with a fun "j'adore mustache" tank I picked up from PacSun on super clearance. Very fitting since he has just a mustache right now :) The Willamette Valley got warmth and sun breaks, that's when you know it will be a perfect wine tasting day! Hi, I stumbled upon your blog (great fashion looks btw!) and are DYING to know which shoes these sandals are? I would love love love to find out. Thanks!